Since last week, interest rates on U.S. government bonds have been quickly rising. The yield on the Treasury's 10-year bond hit 3.25 percent Tuesday for the first time since 2011. But how does all of this affect you, the average consumer? It depends on your circumstances. If you are someone who saves money each month, this may come as good news. After years of getting practically nothing on your savings, you can purchase a 10-year government bond and earn 3.25 percent interest. 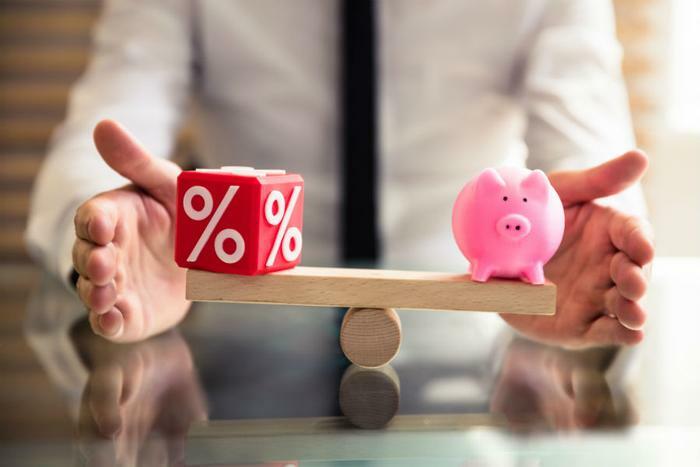 Banks, which have paid less than 1 percent on savings for years, will begin to pay higher interest on savings because they can purchase government bonds paying 3.25 percent and pay a slightly lesser amount on deposits, pocketing the difference. However, if you have invested your savings in the stock market, your assets may take a beating in the short-term. The current valuation of stocks is based, in part, on cheap money. As the costs of borrowing go up, those valuations get stretched. Not surprisingly, stocks have sold off so far this month. For consumers thinking about buying a home, the rise in bond yields comes at a bad time. That's because mortgage rates are tied to the government's 10-year bond. When the interest rate on it rises, so do mortgage rates. In its latest survey, Bankrate.com puts the average rate on a 30-year fixed-rate mortgage at 4.78 percent. Not long ago, a homebuyer could find a mortgage rate below 4 percent. A higher mortgage rate means a higher monthly payment for the same house. Buyers may have to settle for less house or sellers may have to lower their price to make a sale. Regardless, the rise in bond yields will have an impact on the housing market. Rising bond yields will send a signal to the Federal Reserve that it is on the right path in raising its key interest rate. Interest rates on bonds are going up in part because the government is selling more bonds, but also because the economy is growing and inflation is reappearing. As the Fed tightens the federal funds rate, interest rates on car loans and credit cards rise accordingly. That makes a car payment more expensive, meaning a consumer might opt for a used vehicle instead of a new one. For consumers carrying a large credit card balance, the burden may be heaviest. The average interest rate on credit cards is already at a record level, expected to surpass 17 percent in the weeks ahead. It's now almost certain the Fed will hike the federal funds rate again in December, boosting the interest charges on credit cards even higher.